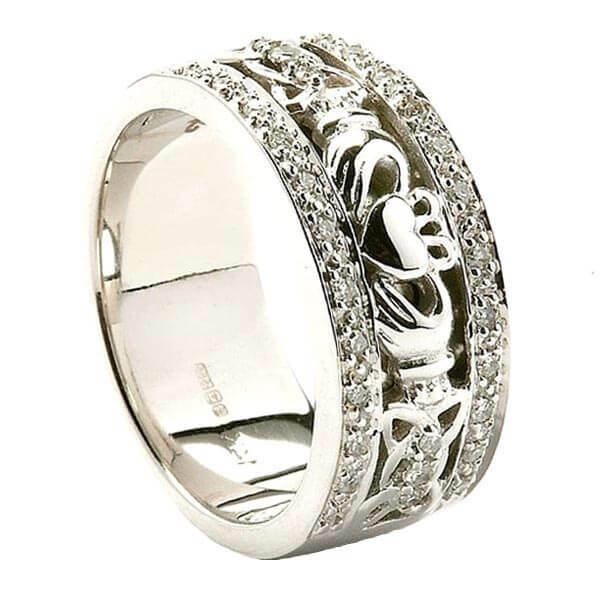 The women's Claddagh wedding ring with diamond trim is a truly special ring, for those who love white gold and something a little different. 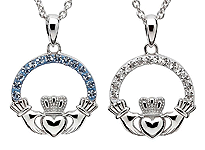 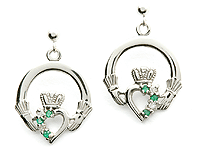 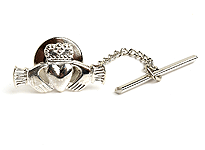 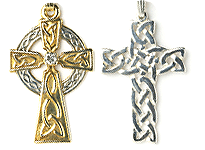 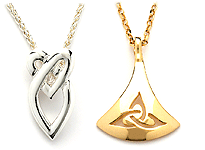 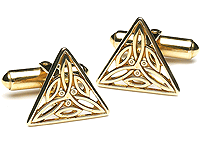 Our craftsmen have created both the Claddagh and Celtic designs on the band, the Claddagh symbolizes love, friendship and loyalty, the Celtic knot symbolizes eternal life. 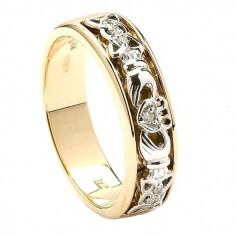 Both the Celtic knot and the trim on each side of the band feature exquisite accent diamonds. Your ring will be crafted from 14 karat white gold and will carry the hallmark of the Dublin Assay Office, your assurance of quality and authenticity. 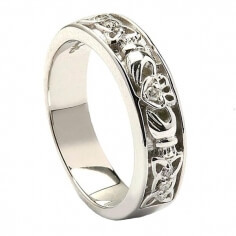 Handmade to order, this wedding band is delivered with a luxury presentation box.